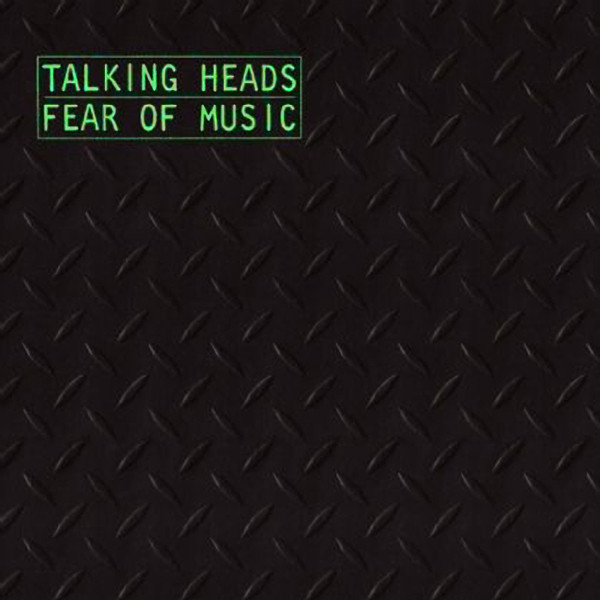 This was the album which saw Talking Heads move away from the guitar-based, quirky vocal three minute song fare of most their first two albums. Here, they began to experiment with “world music rhythms. Nowhere is this better exemplified than on the opener, “I Zimbra”, with its nonsensical chanted vocals over African-derived tribal percussion sounds and a heavy disco bass. 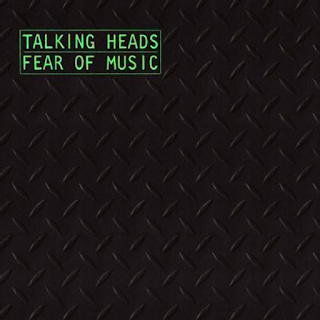 Talking Heads were taking their post punk arty rock to the dance floor. 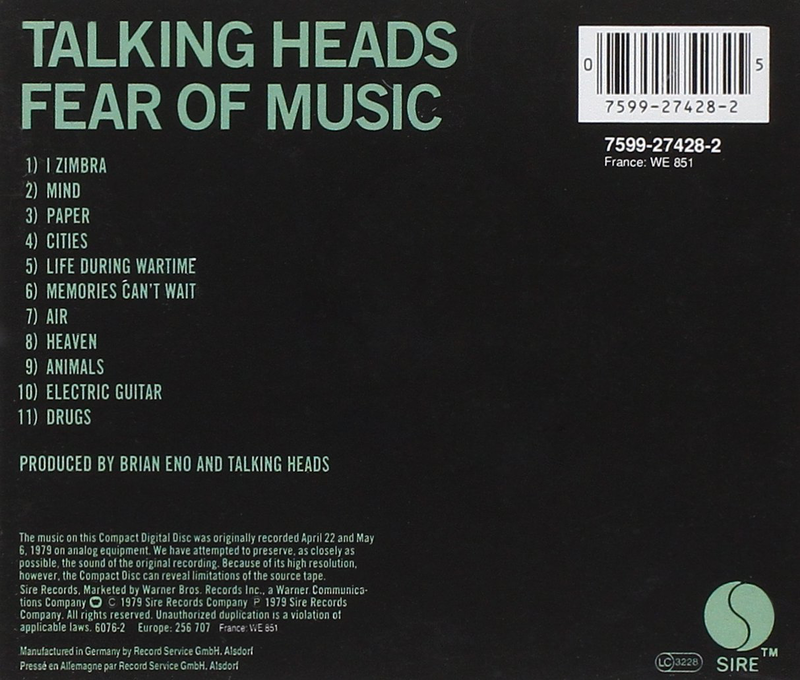 As one the previous album, ex Roxy Music member Brian Eno produced the album. 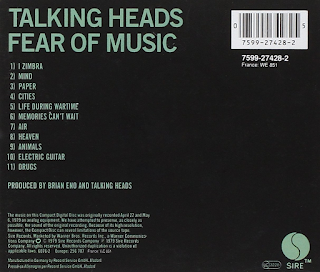 Seven tracks had stark, one-word titles too. “Mind” had an insistent, high-pitched guitar sound, another deep rumbling bass and David Byrne’s obsessive, slightly bonkers vocal. Bassist Tina Weymouth described Byrne’s sense of rhythm as “insane but fantastic”. “Paper” is a love song to a piece of paper, with a killer jangly guitar riff.Two of the album’s cornerstones are the funky “Cities” about fascination with urban life - “think of London, a small city - dark - dark in the daytime..”. The tracks has a great groove to it and Byrne’s crazed hollerings - “look over there! A dry ice factory!”. An excellent guitar part too, similar to those used by Eno on David Bowie’s 1978 album , “Heroes”. Then there is the monumental, futuristic “Life During Wartime”, packed full of post-nuclear imagery and a frightening vision of the future against an addictive disco/rock beat. “Memories Can’t Wait” has a shuffling, insistent rumbling bass sound. Listening to it again, it really is great stuff. Introspective, dense, metallic but somehow it gets into your system. Where Byrne’s voice was the dominant thing on the first album, here it is a supplement to the music. An adjunct. “Air” continues the mysterious ambience that saw the creation of a hundred moody, sombre “post punk” bands. As I re-listen, though, I am struck just how rhythmic it is and how good the bass is. The new remasters help in that, of course. In a way, this album should be paired with Bowie’s “Heroes”. A good thing to do is put both of the albums in a playlist queue and play the tracks at random. Most interesting. “Heaven” is just sad, moving and uplifting at the same time. Yet again a peerless bass line. “Animals” has the same plus a cutting lead guitar and a mad chanted vocal ending about “nuts and berries”. “Electric Guitar” and “Drugs” end the album in the same metallic, bassy, brooding but electrifying vein.